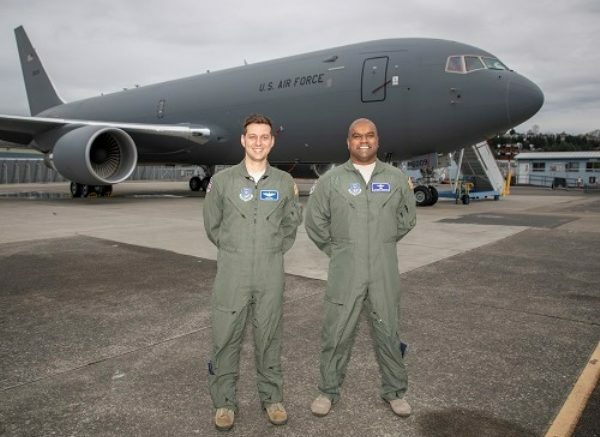 The U.S. Air Force has accepted the first Boeing KC-46A Pegasus tanker aircraft, setting the stage for the aircraft’s delivery to McConnell Air Force Base, in Wichita, Kan., in the coming weeks. The Pegasus has been rigorously tested throughout all aspects of the refueling envelope and in all conditions, including day, night and covert. Boeing is on contract for 52 of an expected 179 tankers for the Air Force. Beyond the first aircraft that was accepted today, nine aircraft are undergoing customer acceptance testing with the remaining aircraft of the contracted amount in production. Be the first to comment on "U.S. Air Force Accepts First Boeing KC-46A Pegasus Tanker Aircraft"